Refinance Your Auto Loan From Another Lender & Receive $200! Moving across town or travelling across the nation? Need to make a deposit or withdrawal on a Saturday? Rest assured there is a shared branch location nearby! There are over 5000 locations across the United States! 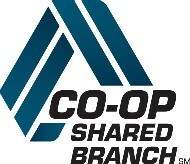 At shared branches, you can make deposits, make withdrawals, make loan payments, and transfer funds. All you need is your DMMCU member number, photo identification, and to verify the last four digits of your social security number. Des Moines Metro Credit Union.